Houses are more than a shelter from the elements: they also offer an unparalleled insight into the beliefs, ideas and experiences of the people who built and lived in them. In this engaging book, Matthew Johnson looks at the traditional houses that still exist throughout the English countryside and examines the lives of the ordinary people who once occupied them. His wide-ranging narrative takes in the medieval hall and the community it framed; the rebuilding and 'improvement'of houses in the sixteenth and seventeenth centuries; and the rise of the Georgian Order in both architecture and eighteenth century culture. This passionate book is animated by the conviction that old houses are much more than just pretty tableaux of an idyllic, unchanging rural England. Vernacular houses are compared to their larger, 'polite' counterparts, and English houses are placed in the wider context of the British Isles and the Atlantic world beyond. 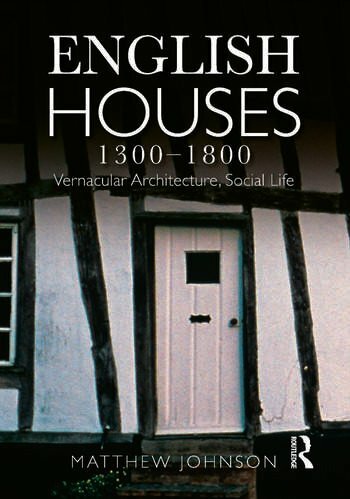 The result is a dynamic, compelling account of the development of houses in the English countryside and through this, a portrait of changing patterns of social life from medieval to modern times. Richly illustrated throughout with photographs and drawings, this book will be of interest to anyone who wants to understand the significance of our built heritage and the historic landscape.